“My neck is hurting again! ?” Do you ever find yourself thinking this? Did you know that neck pain often comes from tension in the upper shoulders? Unlike our cars, our bodies are an interconnected network of physiological processes. One area does effect another. When you have tension in your upper back, it can sometimes cut off necessary blood and nerve supply to your head and neck. And, as we know, a steady, free-flowing supply of oxygen, carried by our blood supply is necessary for clear thinking. Our brains are the command and control center of our bodies, needed that immediate feedback loop to stay open. Do you experience upper back tension? When this doesn’t get relief it can turn to a throbbing headache. Has this ever happened to you? This is a common cascade of tension rolling into even greater pain. In our society it is common occurrence. It can come from doing computer work, desk work. This is common and necessary to move along our lives. Have you ever taken an aspirin for this kind of pain? It’s a common solution. Ask yourself, “Does this solution offer long-term relief or is it only temporary?” What isn’t normal is to live with the pain. Many times relief is a matter of education and learning a better solution. To get long-lasting relief, that is healthy for your long-term health, let’s look at the mechanics behind upper back pain. Tension can be created by tightening muscles. After all, just living in todays society can cause this kind of tension on a daily basis. Yet we need to live and work, and desk work is a part of life. Did you know that relief can be healthy and long-lasting? This can come from a chiropractic adjustment. This adjustment can free up essential nerve and blood supply, giving you relief. The alignment created by gently moving the your vertebrae in place allows free-flowing nerve energy and blood supply to your head and neck. The weight of the average human head is roughly 8 pounds. Imagine gravity pushing down, while you’re vertebrae are out of alignment! At the same time, nerve and blood blow is constricted moving up to the head. This can create a kind of traffic jam, going both ways. Have you ever seen this on the freeway? Imagine this going on in your body! Tight muscles can misalign bones. When the vertebrae are out of place, it’s like having highway lanes misaligned. What happens now? Major blockage! Feel the relief today. One good adjustment is worth a good night’s sleep going into a relaxed and energized day. The healthy solution is a chiropractic adjustment. Do you know how easy this really is? Just going in for an adjustment, gives you relief physically and aligns your vertebrae to allow vital, free-flowing nerve and blood flow, to and from your neck and shoulders. Your chiropractor can also show you the proper body mechanics. Tension might be a normal part of life. Living with it, isn’t! Relief is experienced by thousands of people with the same kind of pain, as you. 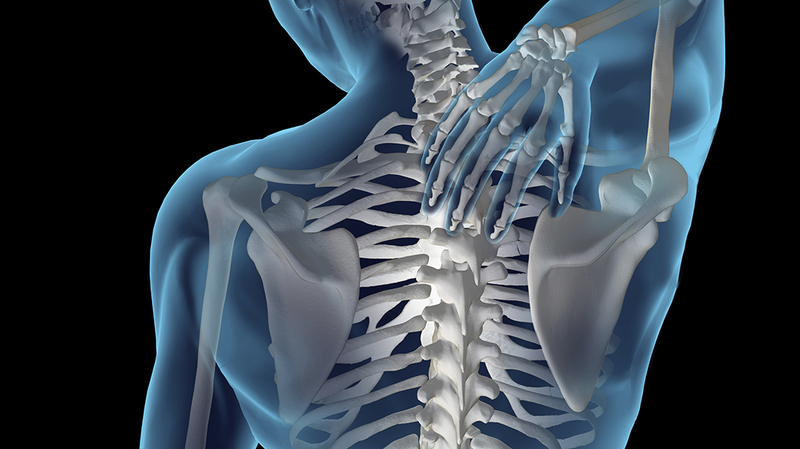 Chiropractors are experts at helping your nervous system function at its highest level.